Oh my do things get disorganized when you are being creative. Plus I was getting a new big cabinet I needed to make room for. Well you know that interesting phrase....one thing leads to another. Boy was that the truth for me. A few weeks ago my daughter and I were talking and she told me her daycare can use any paper scraps or card stock pieces, so I was beginning to go through them for her. 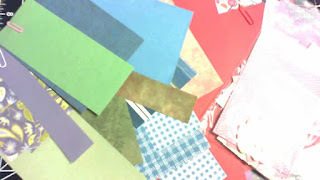 As I did I kept seeing papers that would work with other scraps of papers...uh oh...here go the wheels in my head. Well now my daughter is getting less for her daycare! I actually used almost all of it I had. I had a few ideas of my own but needed some inspiration from others. Off to visit Pintrest I went. 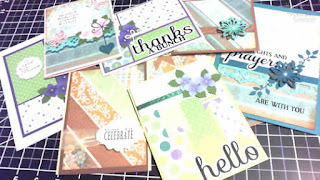 I found a ton of ideas on there and altered them to fit what I had in scraps. I ended up making a tone of cards and made myself feel great about using all these scraps up. I was showing my husband all the cards I made from the scraps thinking he would be so proud, but....he said, "Oh great, more room to fill with more supplies". Yep he was right, so I guess this is a "WIN WIN" situation for me. Try it your self....you will be so pleased. Good going Kim. I'm proud of you! Tell your husband that he needs to be more sensitive!!! !